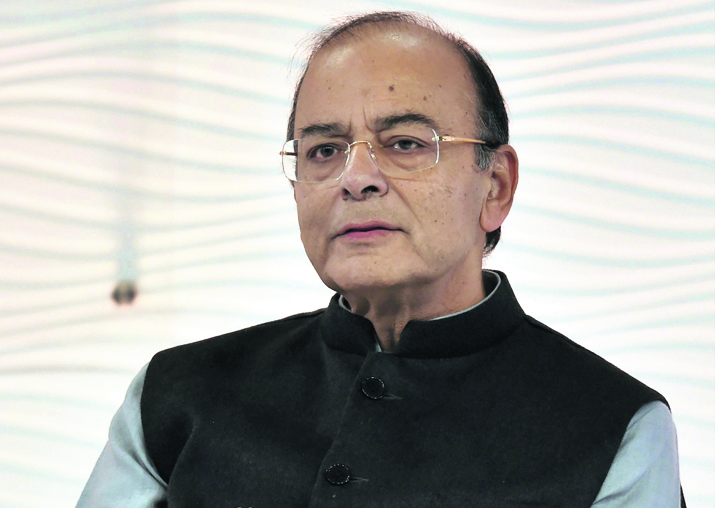 India's finance minister Arun Jaitley exuded confidence that India will pip Britain to become the fifth largest economy in the world next year if economic expansion continues at the projected rate. However, rising international crude oil prices and the global trade war would throw up challenges going forward, he said. “If we keep growing at the rate which is being projected, it is likely that next year we will be the fifth largest economy ahead of Great Britain,” Jaitley said in a Facebook post. “This is in consonance with the rest of the narrative. Being the fastest growing economy for the last four years, we can look at the next decade as one of economic expansion,” he added. A latest World Bank report has said that the Indian economy has become world’s sixth-biggest economy, pushing France to seventh place. The US tops the list followed by China, Japan, Germany and Britain. The new calculations were arrived on the basis of Indian economy’s performance in 2017. India’s gross domestic product (GDP) was valued at USD 2.597 trillion at the end of 2017 overtaking the French economy, which was amounted at USD 2.582 trillion last year. “We have already seen a significant move up in India’s ranking in the ease of doing business and as a preferred investment destination. Today we stand to be tested in the midst of a global challenge thrown up on account of the international crude oil prices and the trade war,” Jaitley said. Crude oil prices, which were around USD 66 a barrel, in April are now hovering around USD 75 a barrel. The Indian economy is estimated to grow at 7-7.5 per cent in the current fiscal, higher than 6.7 per cent growth clocked in 2017-18 fiscal. “The recently released World Bank data reveals that India has now become the sixth largest economy relegating France to the seventh position. Obviously, on account of disparity in the size of the population, there would be a very significant difference in the per capita of the two countries,” he said. The NDA government, under Prime Minister Narendra Modi, has ensured that rural India and the less privileged get the first right on resources and if this, along with increased expenditure, continues for the next decade the impact on India’s rural poor would be significant, he said. “This benefits all irrespective of religion, caste or community. He said the government’s programmes for rural India will lead to increased incomes, increased social security, improved quality of life, higher income from agriculture and better healthcare.